What to do when you have a fridge full of vegetables? Roast ’em up, mix them with some brown rice, oozy cheese and a few nuts, and voila – you’ve got yourself a meal. 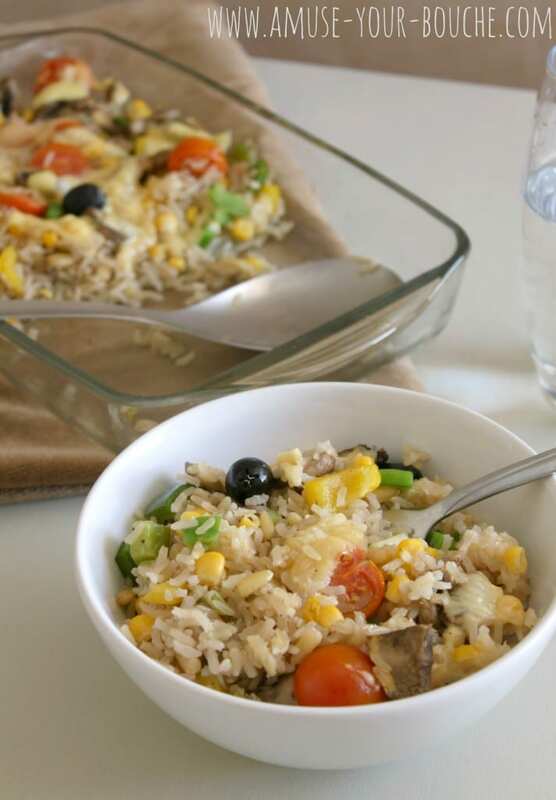 This cheesy vegetable rice bake is pretty much a one-pot meal (apart from boiling the rice – but you could even use leftover rice instead if you want to cut out a step), which is always a selling point if you’re like me and despise washing up (I really must get myself a dishwasher – anyone have any children going spare?). My favourite thing about this dish was that each bite tasted different – first, a roasted cherry tomato, then a salty black olive, then some earthy mushroom, then some gooey cheese. All these things helped to keep the rice really moist (ugh there’s that word again). I scarfed down the lot and could have happily eaten more (if only my boyfriend hadn’t been in, I would probably have had his portion as well… not that I’m wishing him away or anything). 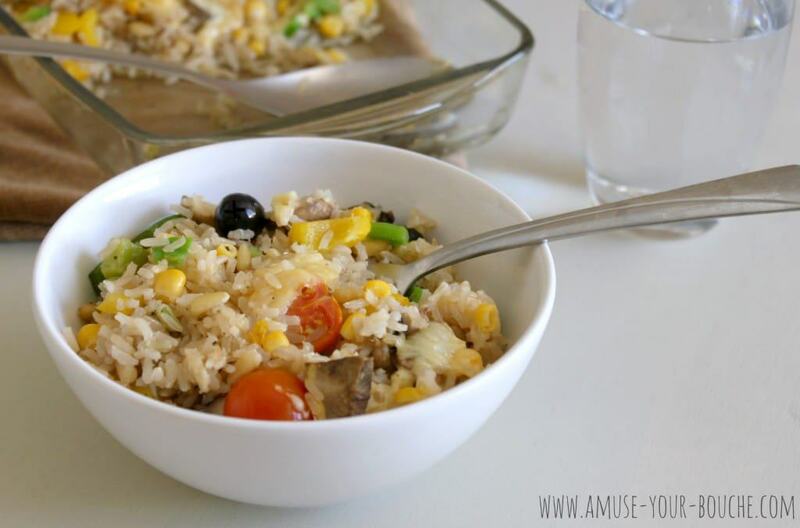 The brown rice is perfectly chewy and is the ideal thing to turn the veg into a full meal. Plus it’s a whole grain so two portions is definitely acceptable… right? Sometimes the most delicious meals are the most simple, and I think this is one of those times. There’s nothing particularly unusual about these ingredients, it’s just good, simple comfort food – and it’s not often that comfort food is also good for you. Boil the brown rice according to the instructions on the packet, and then drain. 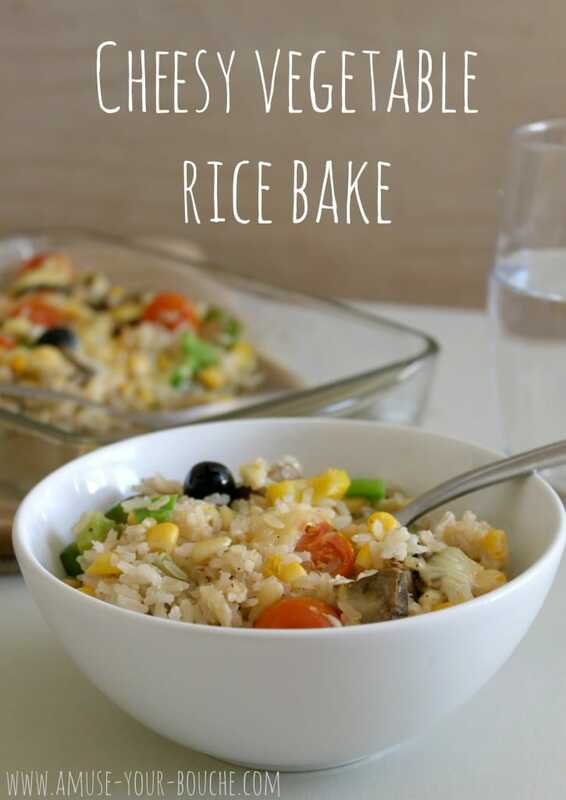 Combine all ingredients in a large baking dish, and bake for 30 minutes. I used a Dutch cheese called maasdam, which is similar to edam, because it was what I had on hand – cheddar, mozzarella or anything similar would work well too. My cheese was sliced so I just tore it into pieces, but you could also use grated cheese or small chunks. This has become one of my family’s favourite meals. Our 19 month old daughter particularly loves it!! I make at least a double portion because it freezes well too. I also add in peas, a can of chickpeas and sliced garlic. SO YUMMY! Thanks so much Kate! Glad you family all enjoy it, your additions sound great! Always loved your recipes…Thank you for sharing this! 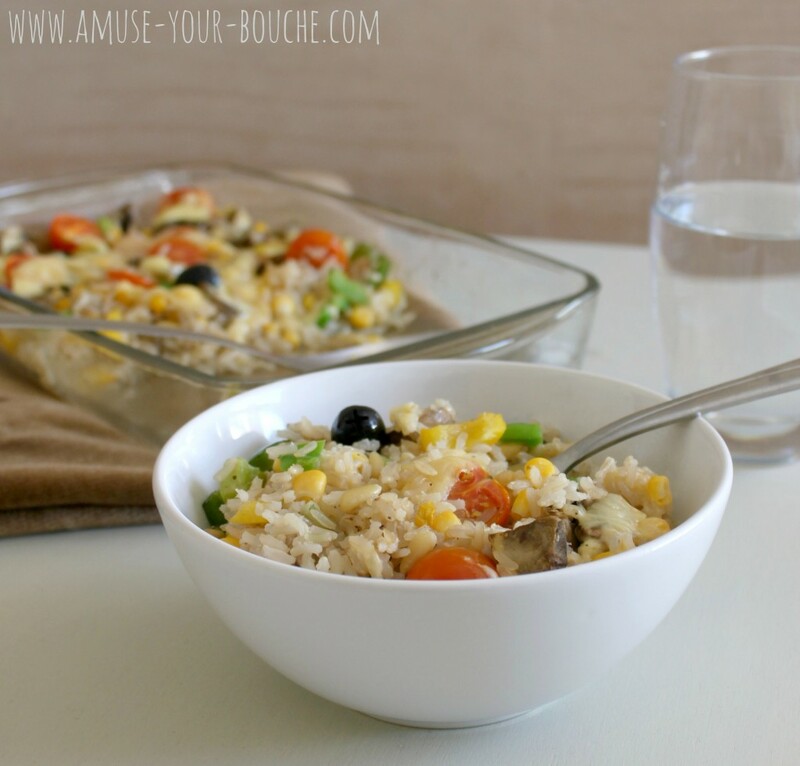 i love adding veggies to rice for a quick and amazing meal!